"Professional Level Photos With All Events"
Hi I'm Jack, the owner and DJ of the East Midlands Party Company. Firstly i'd like to to thank you for checking out the company! We provide an interactive, professional service, catering for all events from action packed children's parties right through to your beautiful wedding day. Whether you require a good selection of dance floor classics throughout the decades or the biggest club classics from the 90s to the present day mixed together... with a DJ dressed for the occasion, we aim on making your event a total success with a personal & bespoke service in what we do best! All events booked with us also come with full photography coverage of your party on a CD for extra memories to keep too. If you're looking for a DJ with a slightly more interactive style of entertainment then look no further. Feel free to have a look at some of our reviews and please don't hesitate about getting in touch to discuss your upcoming event with us. Required by many venues, The East Midlands Party Company has a current PLI policy with Mobile DJ Network in the amount of £10 million. Also required by many venues, The East Midlands Party Company has supplied satisfactory evidence of holding current PAT inspections of their equipment dated within the last 12 months. 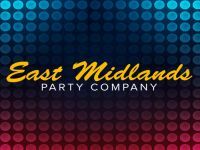 Why do people choose to book The East Midlands Party Company? Was able to provide us with the best package that suited our requirements. We are very much looking forward to celebrating our wedding with him. Swift response to enquiry and subsequent questions. Friendly. Happy with price quoted. Best offer for what I wanted. Seemed good kids entertainer added bonus of photos. He can offer extras such as photos which are important to me. His web page/Facebook and emails all show what he has to offer. I liked the package offered and the communication was really positive. 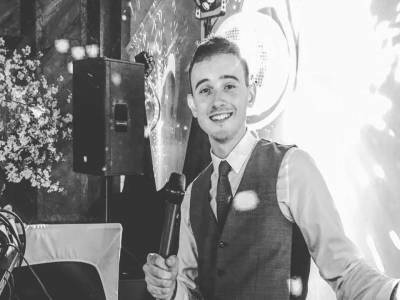 "Couldn't of asked for a better DJ, There are no words really to describe Jack, he was fantastic entertained everyone from aged 20 months to 60 + years. He knew what music we wanted and made sure before hand if we wanted certain songs.. Jack made such an impression with some of the guests they have already asked for his details.. Will definitely be booking again." "Thank you for taking the time to leave us this feedback! It was a very enjoyable night and glad you both enjoyed it too. Thanks again for booking us." "Jack was very professional through out. He did an amazing job keeping the dance floor busy and we had a lot of comments from guests saying how good he was and how much they enjoyed the evening. The photos was a fantastic added bonus. I would highly recommend him and would definitely use him again. " "Thank you very much for using us once again! It was a very enjoyable night and glad you enjoyed it too." "East midlands party company were an excellent choice. Friendly, professional and excellent value for money. Included in the price were photo's which were taken through the evening by one the DJ's. Meaning I could enjoy myself, but also have a disc with lots of special memories on. Everyone has said what a great time they had and what a fantastic disco. I would definately recommend East Midlands Party Company to others." "A huge thank you for your kind words! Means a lot and glad you enjoyed the night!" "If i could give Jack a higher rating then i gladly would, he was an amazing DJ and made my daughters 11th Birthday party dancing and laughter filled, a memorable night for all of the 50 children who came! Jack arrived even earlier than me and was busy setting up the vast selection of lights and effects, including a big bubble machine and overhead photos screen. His high level of professionalism, combined with his natural ability to engage and interact with the children from as soon as they walked through the venue door until they were almost being pulled out by their parents at the end of the party, made my job as parent so much less stressful and much much easier. Jack coordinated the kids getting food at the right time, introduced the birthday cake moment and ensured that all the kids helped my daughter to feel like a VIP throughout. His calm, funny and super organised manner meant that the party goers loved Jack, and the parents obviously rated him too as I've already had to give out several of his business cards to parents who are busy persuading their children to have discos too :-) One mum was so impressed that she's booked Jack already...for September! I haven't mentioned the photos...wow, what an amazing service to offer as part of the package! Photos were taken over the evening and then shown on a big screen so the kids could see themselves, in addition I was given a copy of all 100 photos taken at the end of the night. Good quality photos with some fabulous memories of Junior school friends for my daughter. Jack brought some photo booth props along so there were some funny photos to enjoy and much laughter from the party goers when the photos were being shown on the big screen. In conclusion, Jack was the best DJ that i could have hoped for and if i ever book a large party again for any age group then I've already got his number firmly saved into my phone! I highly recommend Jack, Charlie and The East Midlands Party Company." "Such a detailed and friendly review, thank you so much! We try really hard to please people so it is really appreciated when you take the time to thank us like this! :-)"
"Jack and his partner were brilliant at entertaining the kids and making the birthday boy feel very special. The kit and special effects were fab and would strongly recommend to others"
"Thank you for your positive comments. It was a great party and I'm glad you liked the new lights as much as we did!" "Absolutely brilliant night celebrating mine and my others halfs 30th birthday. Jack stayed in contact with me leading up to the party and was a complete professional on the night. There was always someone on the dancefloor....ME! I even had someone tell me what a great DJ he was. The photos that were taken were brilliant as when you organise a party you're so busy talking to people you forget to take photos. Thank you for a great night Jack i will definitely be recommending you and will not use anyone else for any future celebrations!" "Thanks again for such nice comments. I'm glad you and your partner enjoyed the night. You had a great crowd and was a great night had by all including ourselves! :-)"
"Can't thank you guys enough for making our engagement party so spectacular! From the word go with how easy you were to contact and how helpful you were I knew it would be a fab evening, but what really topped everything off was the beautiful photos you captured throughout the night and how accommodating you were to the little superstar who was desperate to get up on stage and sing to us all. I will definitely be spreading the word of how amazing you are! Thank you again. (See you at the wedding!)" "I'm really glad you enjoyed the night and the photos as an extra touch. Really appreciate the kind words and really looking forward to entertaining at your wedding in 2019! " "I booked with East Midlands Party Company for our home boxing show. With 2 East Midlands Challenge Belt title fights it was a massive night for us, we cant thank Jack and his team enough, they were faultless from start to finish. Leading up to the show he ensured everything was prepared and ready including the tracks for the boxers to walk into the ring which were all ordered perfectly, a big screen to play a video of our club at the start, and did everything to help us feel at ease the whole way through. There was nothing that was too much trouble for him, such nice guys! And, to top it off, they took some photos for us throughout the night & had them edited and sent to us by the following day...couldn't have asked for a better DJ company, 100% we will be using these guys every time if they can squeeze us in! " "Thanks very much for the kind words. Looking forward to being a part of this years shows too! :-)"
"Jack and his team did an excellent job to accommodate our requirements for our wedding on 3rd Oct 2016. They dressed appropriately, plus with good attitude. The setting was neat and presentable. My husband and I, including our guests were all satisfied with the songs selection, hence the dance floor was always filled with people dancing and having fun. On top of all that, photos were also taken and included in the price! Definitely recommended!" "Another great night with a really friendly and great crowd! I'm pleased we met your expectations and wish yourself and your husband all the best in the future." "Jack was great from beginning to end, no problems at all polite, went above and beyond by doing some photography on the day. They had a smile on face throughout. Would definitely use again "
"Thank you for booking us to cater for your event. Despite the weather not being at its best, we really enjoyed playing the tunes. Thanks again!" "Jack supplied everything he said he would.excellent service & a good night was had by all .l would definitely recommend him to anyone"
"Thanks for booking us. We really enjoyed the party and i hope the birthday girl did too! " "Absolutely fantastic, all the guests had a fab te and said how great the dj was. Highly recommend. Brilliant value." "Thanks very much for the positive feedback. We're very glad you and your guests enjoyed the night." "All excellent, really made the party. Professional, friendly and positive. Highly recommended. Thank you very much Jack." "Thank you for using us for your event and the kind words. I loved the party!" "I would definitely recommend to anyone wanting entertainment for a child's party. They were interactive, helpful, friendly, all round fabulous. I will use again next year if my children decide they want a party again. In fact I'd use them for any party we plan in the future. Well done and thank you for giving my children and their friends an amazing experience - had such lovely comments from the parents from their children. Keep up the good work"
"Thank you so much for your kind words. It was a great party!" "Jack and East Midlands Part Company were absolutely fantastic. He offered a personal and friendly service. Jack was attentive and listened to all our requirements. Nothing was too much and he was just brilliant. On the night Jack was very interactive and got the crowd going, which was a total surprise as it was a 90th birthday! He did some games with prizes for the kids and took a few photos throughout the night which he then displayed on a bit screen. All these extras just made the night even more special. I was highly recommend East Midlands Party Company for any event. Personal and professional and good value. We will most definitely be using their service again! Thank you so much for such great enertainment"
"Thank you so much for the nice feedback. It was a great party and even better to see the birthday girl up having a good time. Thanks again!" "Jack was very professional, punctual, presented himself well did exactly what we asked and has a vast library of music so he had every song requested and the lighting was fantastic and the photoghraphy that he does within the party is a fabulous touch. Highly recommended and i will use him for any future parties i have"
"Thank you very much for the feedback. It was a great pleasure doing the party for you. I wish you all the best for the future and you know where I am if you ever need me again. Thanks again." The East Midlands Party Company also offers a range of additional party services not directly linked to musical entertainment. A true entertainer for all occasions. You may contact The East Midlands Party Company directly using this form. If you are contacting The East Midlands Party Company about an event, it's always a good idea to include the DATE, LOCATION, EVENT TYPE, AGE GROUP and TIMINGS to speed things up!